Our Direzione Didattica Aldo Moro is in Terni, a modern town in the centre of Italy, with beautiful surroundings. It is a school-district that has got 873 pupils and 63 teachers and that includes 4 nursery and 2 primary schools. Every year each school develops its own projects, that deal with languages, sports, music, drama, ICT, dance, shaping ceramics and so on. Many of them won awards. From 2008 to 2013 we were involved in two different Comenius projects :”The olive path from Klazomenai to Europe” and “A drop of awareness travelling around the world”. They gave teachers, pupils and parents very good occasions to travel, learn about foreign school systems and open their minds to other cultures. We teach English from five to ten years old children and since 1980 we decided to increase the amount of English hours per week established by the Italian primary school curriculum for the first and second primary school years. We also organize afternoon English courses to prepare our pupils to the “Starters” and “Movers” Cambridge exams. Every year we participate to the English Kangourou National Contest. Our student’s English books include CLIL pages about geography, science, history and some of our teachers followed CLIL training courses throughout the years. 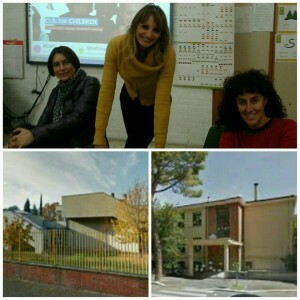 Our CLIL staff is composed of three primary school teachers.